Rediff.com » Business » Will Prem Watsa's magic work in India? Will Prem Watsa's magic work in India? 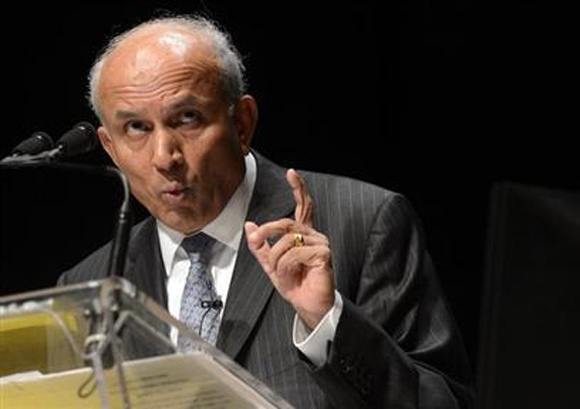 Hyderabad-born Prem Watsa, the founder, chairman and chief executive of Toronto-based Fairfax Financial Holdings, is often called the Warren Buffett of Canada for his ability to spot investment opportunities ahead of others and turn around non-performing enterprises. His latest acquisition, Chennai-based Sterling Holiday Resorts, would require all his turnaround skills: the timeshare company has been in pain for several years now (see graph), is small (1,500 rooms in 16 resorts, compared to market leader Mahindra Holiday & Resorts’ 2,500 rooms across India and overseas), and many of its resorts are in dire need of repairs. The Sterling acquisition is being done by Thomas Cook India, which was acquired by Fairfax in June 2012 for Rs 810 crore (Rs 8.10 billion). On February 8, Thomas Cook announced the three-stage deal: first, Sterling will make a preferential allotment worth Rs 187 crore (at Rs 90.49 a share); next, the company’s large shareholders - Bay Capital, Sidharth Shankar, Dhanalxmi S and Rakesh Jhunjhunwala — will sell their shares for Rs 176 crore (Rs 98 apiece); and finally, there will be an open offer for another 26 per cent which could cost up to Rs 230 crore (Rs 2.3 billion). All told, Thomas Cook India will spend Rs 593 crore (Rs 5.93 billion) to buy 65-70 per cent in Sterling. 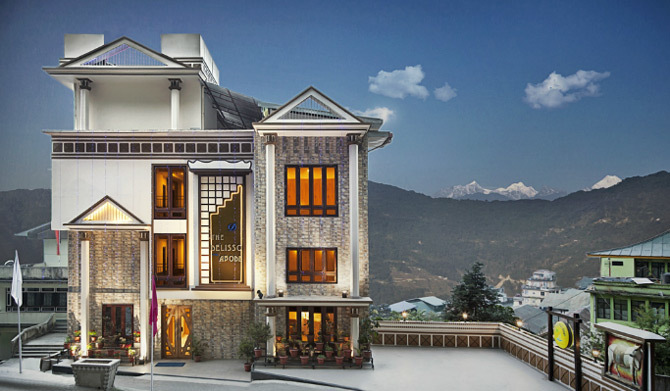 The deal values the company at Rs 870 crore (Rs 8.7 billion). Sterling has fallen 0.96 per cent and Thomas Cook India nearly 10 per cent on the stock market since the deal was announced. What really has driven the acquisition? Has it been done to draw synergies or is it a purely financial investment? Thomas Cook India Managing Director Madhavan Menon says it has not been done from “a synergy perspective” and is a “sound” financial investment made for the long term. The two companies, he insists, will not “milk each other”. Sure enough, even after the deal is closed, Sterling will continue to operate independently with its own management team. “We will be at an arm’s length and focus on our own growth. Fairfax being an investor is always open to prospects,” Menon says. If it’s a purely financial investment, the shareholders of Thomas Cook will keep a close watch on the returns on this investment. The Rs 593-crore that it wants to spend on the acquisition would have fetched the company over Rs 50 crore annually (Rs 12.5 crore a quarter) if it was put in a fixed deposit that gives 8.5 per cent return. Thomas Cook, of course, is a fairly profitable company. This is Thomas Cook’s second acquisition in India. In February 2013, it had bought 74 per cent stake in human resources and facilities management company, Ikya Human Capital Solutions, for Rs 256 crore. How sound a financial investment was that? This more than doubled the company’s turnover from Rs 332.47 in the nine months ended September 30, 2012 to Rs 830 crore in the nine months ended September 30, 2013: the jump is attributed to “human resource services” of Rs 492 crore. 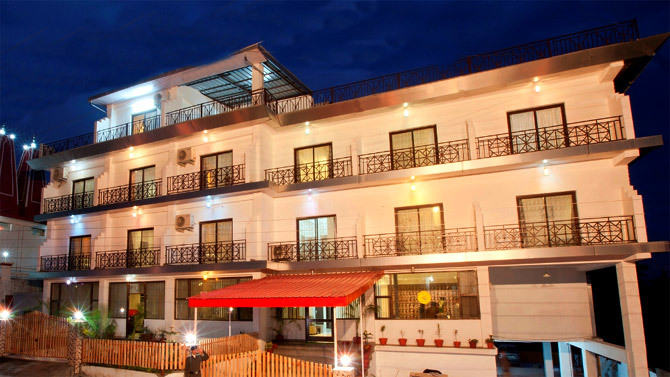 Its net profit climbed to Rs 49.07 crore from Rs 41.86 crore in the period. Sterling Managing Director Ramesh Ramanathan, who came on board in July 2011 from Mahindra Holidays & Resorts after the company was purchased by a clutch of private investors (R Subra-manian, who had founded the company in 1986, ceded management control to Bay Capital in 2009; Jhunjhunwala and Radhakrishna Damani entered the company in the second half of 2011), said in an interview with Business Standard last week that there were other gains in the acquisition too for Thomas Cook: it gets a “bigger thrust in the domestic holiday market”. He added: “For all its customers, to whom it sells outbound plans regularly, Thomas Cook can now sell inbound plans with a Sterling membership.” Menon too concedes that Thomas Cook is an aggregator of services and “packaged holidays in a component” of it. For Sterling, Ramanathan said the deal holds several benefits. One, Thomas Cook will be able to drive a lot of non-members to its properties. So, the market will expand for Sterling. He said that once it becomes a Thomas Cook subsidiary, Sterling could even look at putting up bigger properties. Two, it improves the timeshare company’s brand equity. “When we move into the market and talk to prospective clients, it puts up our credibility, especially given Sterling’s background: while we have revived in the last two-and-a-half years, there is a (troubled) history,” he added. Three, it will help in cutting backend costs. “We can make use of Ikya. Within the Thomas Cook group itself, there are a lot of benefits,” Ramanathan said. Four, and most important, it will infuse a lot of cash into the company: the preferential allotment worth Rs 187 crore. This money could help Sterling gain critical mass. In the timeshare business, scale is important. Customers want choices. At the moment, Sterling has 16 destinations in its portfolio. Many need rejuvenation — one reason why several customers did not renew their membership. “Our ability to expand becomes better with the deal,” Ramanathan said. The alliance, according to Ramanathan, will help Sterling “think beyond what we have been thinking”. Now, he said, was the time to realise the dream of becoming the market leader. The big question is if the Watsa magic will work here too. 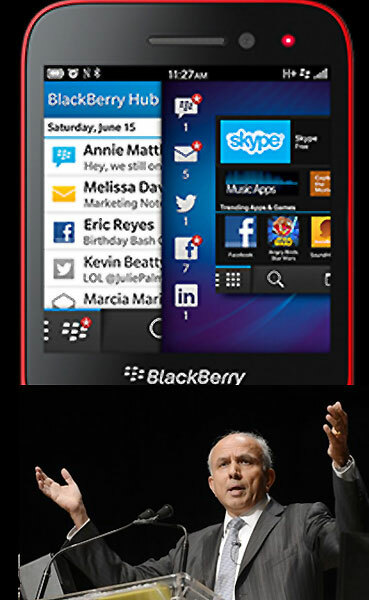 India-born billionaire V Prem Watsa earned the tag of 'turnaround artist' when he saw value in the struggling Research In Motion (RIM), the Canada-based maker of BlackBerry, and became one of its top investors by injecting $1 billion into the company. The IIT-Chennai graduate told a Canadian newspaper that Fairfax abandoned the takeover bid on determining that it would be a mistake to saddle the company with a high-yield debt under a planned leveraged buyout. "We've, over 28 years, whenever we thought something was a good idea, been able to raise the money," the 63-year-old was quoted as saying. 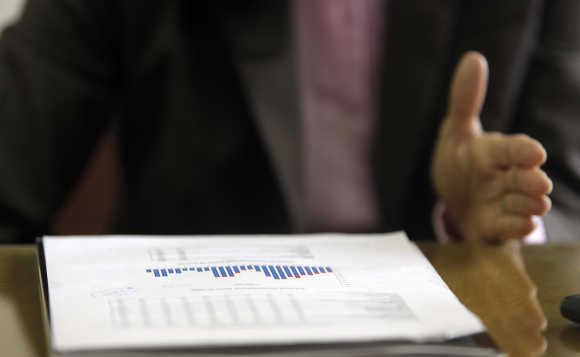 In 2007, Watsa apparently saw the ‘storm’ coming and moved much of his company’s $16-billion portfolio out of the stock market and into treasury bonds and other recession-proof instruments. It's not as though Watsa hasn't tasted failure. 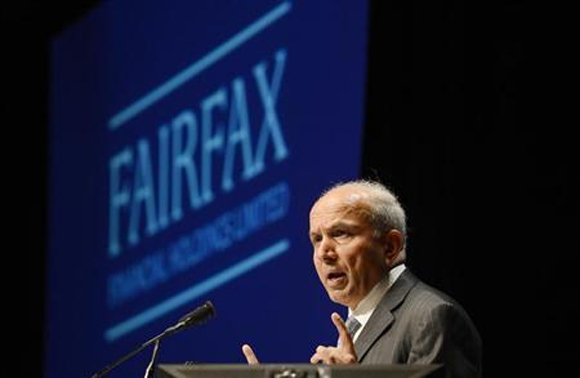 Fairfax had to write off a large chunk of its investments in a Canadian media company, Canwest, in 2009 as the firm filed for bankruptcy. Another venture of Watsa’s that didn’t do too well was with publisher Torstar and his company had to write off some of its investments. His entry into the Indian market, when he emerged as the winning buyer of Thomas Cook India in June 2012 through Fairbridge Capital, a fully-owned subsidiary of Fairfax Financial, surprised many. But then he's a man full of surprises.